Although young workers are the most vulnerable to workplace injuries, there’s a lot that can be done to protect them, our Portland workers compensation lawyer explains. A young worker is injured on the job about every 9 or so minutes in the U.S. In 2013 (the most recent year for which complete data is available), more than 330 young workers were killed on the job. Educating them about the job-related risks they face and what they can do to reduce these risks. What Are the Biggest Risks to Young Workers? A lack of safety training – This is essential for inexperienced workers who may not even realize what actions may be riskier than others when performing a job. Pressure to work as fast as possible, which can be perceived or real, particularly when young workers are working alongside more experienced laborers. How Can the Risks to Young Workers Be Reduced? While the statistics regarding the injuries and deaths experienced by young workers are harrowing, the good news is that there are various things that can be done to reduce these risks and better protect our nation’s young workforce. Making sure young workers understand a company’s safety program, as well as what should be done in the event of an accident, emergency or injury. Young workers tend to be employed in some of our more dangerous workplaces and experience a disproportionate amount of workplace injuries…We need to prevent needless and tragic injuries and deaths and provide our younger workforce with the training and skills to protect themselves and others on the job. 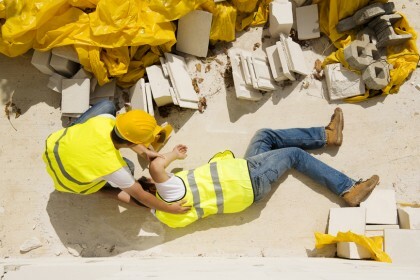 Have you or someone you love been hurt on the job? If so, you can rely on a trusted Portland workers compensation lawyer at the Savage Law Firm for experienced help and aggressive legal advocacy. Since 1977, our lawyers have been devoted to providing each of our clients with personal attention, respect and the highest quality legal services.